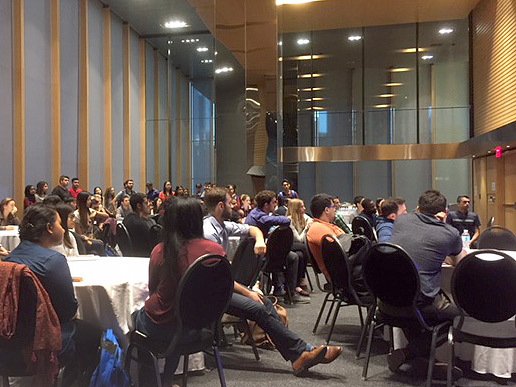 On Thursday, October 5th the University of Toronto Orthopaedic Surgery Residency Program held a medical student career night. Faculty and residents gave a few talks describing a career in orthopaedics and what the orthopaedic training program is like. This was followed by an informal meeting with the residents and faculty, with snacks/drinks. The event is held annually and is a great opportunity to meet our staff and residents and ask any questions you might have.